So Tara Altebrando is another gorgeous mermaid authoress who was mentioned in the USA Today article last year on mermaid fiction and who has a piece in the long-suffering-yet-astonishing Mermaids magazine and read last fall with Sarah Porter and me in Barnes & Noble (photographic documentation of which is a couple posts down, in case you don’t believe me)… Her mermaids are of the aspiring kind, like the rest of us, but in that magical Coney Island style which is really just as good as the real thing. 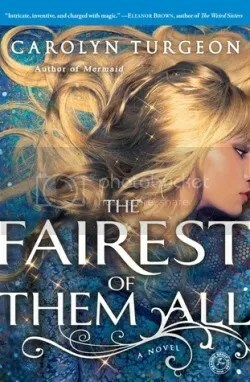 Tara does many many other non-mermaid things and her newest book came out just last month (go here to read more about it and see a book trailer) but in the interview below I lovingly force Tara to talk about mermaids and only mermaids, all the time. So tell me about your books! Well, lately I mostly write Young Adult novels and my most recent book, The Best Night of Your (Pathetic) Life, is about four high school seniors on a crazy scavenger hunt. Before that was Dreamland Social Club, a sort of dreamy coming of age novel set on Coney Island. How did Dreamland Social Club come about, and why mermaids? was intrigued by the idea of writing about the current state of Coney (which is not so hot) and it’s sort of incredible, thriving (and entirely crazy) past. I mean, this is a place that used to have a hotel shaped like an elephant and premature baby exhibits on the boardwalk. 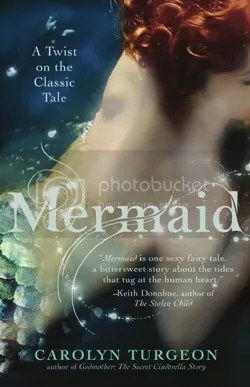 The mermaids in the book are of the aspiring human kind. Since the Mermaid Parade is such a Coney tradition, it only seemed right to include a few. Do you yourself have an affinity for mermaids (and/or Coney Island mermaids)? Mermaid Values” T-shirt right now! So, yes. Do you go to the Coney Island mermaid parade? I try to! Though there have been years, like this one, when I felt like bringing my daughters at their ages would be a nightmare. My husband marched in it once before I knew him, as part of a “Mermaid Funeral” that he and his friends dreamed up. He wrote a dirge that he played on trombone. 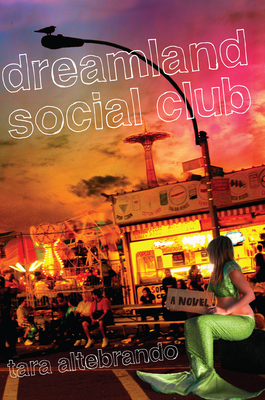 I wrote that whole idea into Dreamland Social Club. Do you have plans to include mermaids in any future books? Not at the moment! But I am playing around with a book idea that involves an awful lot of other creatures of the deep. Like manatees, whom I also adore. What do you think the broad appeal of mermaids is anyway? Well, I think it has to do with the ocean and how terrifying and amazing it is, and how we are drawn to it on a very deep level and yet have limited ways in which to explore it. Who wouldn’t want to be able to just dive in and go? Do you have any advice for aspiring mermaids? And finally, what are you working on now? I am cooking up a creepy new YA novel. But first I am working hard at packing for a long overdue summer vacation. I haven’t even been to Coney yet the summer. For shame!